Bled is where you can bathe in the summer or in the winter. 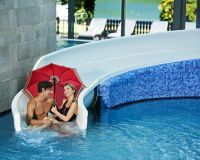 In the summer, you can freshen up in the cold blue Lake Bled or the biggest pool complex at Živa Wellness and the hotel pools. At the Rikli Balance Hotel, you will find the biggest pools in this part of Slovenia. The pools, which are located on two levels, are filled with thermal water and feature an indoor waterslide. You will be thrilled by the view, which is also available from the saunas! The Grand Hotel Toplice swimming pool is refilled with fresh thermal water every morning and offers views of Lake Bled just a few metres away. This is true relaxation in paradise! The Grand Hotel Toplice offers a private beach for hotel guests only. Daily visitors can take a swim in the pristine spring water of the indoor thermal pool of the hotel. The highest floor of the Hotel Park offers a magnificent view of Lake Bled. It is all the more beautiful because it can be admired directly from the pool of heated thermal water. The Velika Zaka beach is located in a bay along the northern shore of Lake Bled. At this popular bathing site, visitors can rent loungers and beach umbrellas and freshen up at the bar. A sports and recreational centre is close by. Sheltered by the castle rock is a natural bathing area featuring two waterslides, a springboard, fenced-off pools and a children's playground. At Lake Bled, you can bathe practically anywhere. If you prefer bathing sites to wild beaches for two, take a walk around the lake and find your place on the shore of this alpine pearl! The Park Café right next to the lake is also called the home of the original Bled cream cake. You will be served excellent cakes, home-made ice cream ...and á la carte dishes. Pizzeria Rikli, in the centre of events on the Bled promenade below the Hotel Park, offers a wide selection of crispy pizzas made from fresh ingredien ...ts. The Panorama Restaurant boasts a diverse cuisine, characterised by typical Slovenian dishes served with a magnificent view of Lake Bled. The boutique Julijana Restaurant can only accommodate some 20 guests. It serves daily fresh and seasonal gastronomic treats created by one of the best ... Slovenian chefs. Jezero Lounge is located on the terrace of Grand Hotel Toplice next to the most beautiful part of the lake. Superior wines, a light lunch or our speci ...al ice cream flavours will taste even better with this view! They say that there was once a pasture where Bled Lake is today. In the daytime, it was grazed by sheep and during the night, the fairies who lived on a hill in the middle of the lake danced on it. The hill was covered by the softest grass, which was always nibbled on by the voracious sheep. The fairies asked the shepherds to put up a fence, but they only laughed. When the youngest and prettiest of the fairies tripped and cut herself on the sharp rocks while performing a fairy dance, the fairies were enraged. 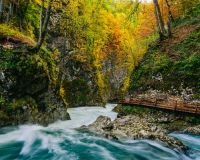 They called waters onto Lake Bled, which covered the meadow and created an everlasting natural “fence” around the fairy hill. Thus the meadow became a lake and the hill became an island on which fairies still dance on starry nights, according to the legend. All of us who were lucky enough to have visited Bled as children share some images that have become an indelible part of our memory: the first steps when exploring the lake shore, the first ride in a pletnja boat, the first feeding of the swans, the first cream cake, the first blissful smile with powdered sugar around the lips ... and mother's eyes full of emotion. Wonderful memories that every parent wishes for his or her child. Bled is an ideal destination for a one-day family trip or a longer vacation with babies, toddlers, school-aged children and teenagers. The climate is mild, it is never too hot and a shade and a cool place are always close by, and there is enough fun for all family members, whatever their taste. Bring your family to Bled for a day! You cannot truly experience Lake Bled until you have sailed on it in a boat! You can choose between a ride in the traditional pletna boat or row to the island with a church by yourself. Both ways have their own special charms and both are worth experiencing! 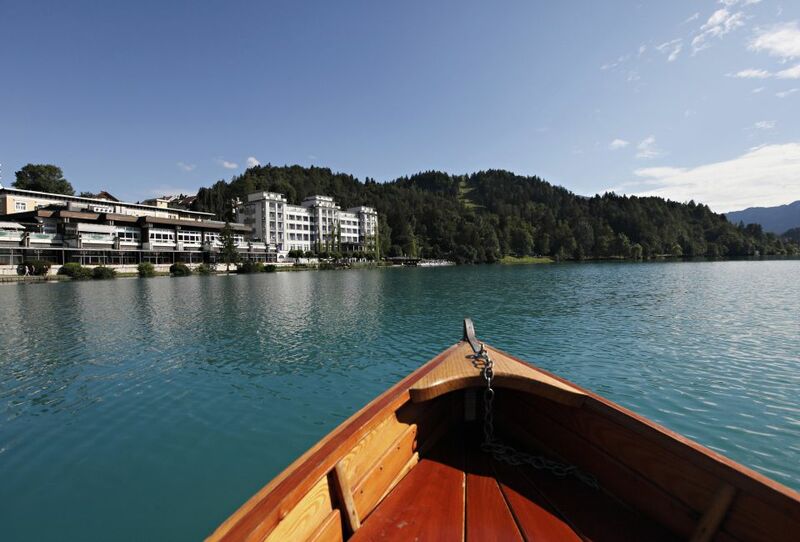 Hand-made wooden boats are available for rent at the boathouse of Grand Hotel Toplice, where you can even order a picnic basket to take with you on a romantic date in the middle of the lake!